Orlando, Florida, a magical vacation destination and home to Marriott Golf Academy℠ at Marriott's Grande Vista resort, a fabulous vacation resort in the heart of the world's best known and most incredible theme parks and attractions, beautiful beaches, generous golf, sensational shopping, and delectable dining. 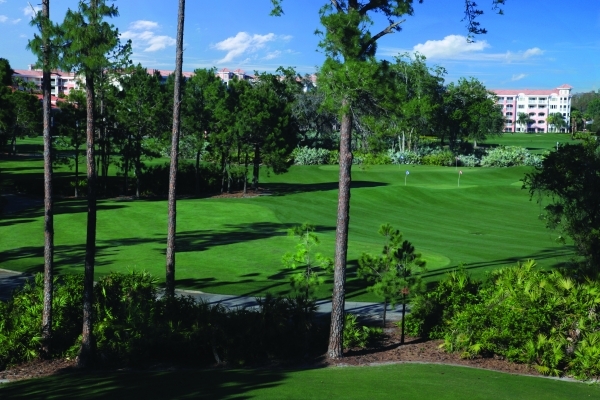 The resort itself is a 160 acre tranquil escape from Orlando's continuous excitement. Make yourself at home in a luxurious villa or one of the many glistening pools. For ultimate relaxation, indulge in a soothing spa treatment at The Spa at Grande Vista, or satisfy your craving for deliciousness with sweet and savory options throughout the resort. To keep you energized during your stay the resort offers a fitness center and a menu of recreational activities for adults and children. Marriott's Grande Vista is the perfect setting to create unforgettable experiences that will make your Orlando vacation a magical getaway. Marriott's Grande Vista is also home to Grande Vista Golf Club where towering pines, magnificent oaks and beautiful cypress trees surround this 9-hole, 2300 yard, par 32 gem. While possessing an element of challenge for the avid golfer, this stunning Ron Garl design was created with the family in mind to encourage learning and development.